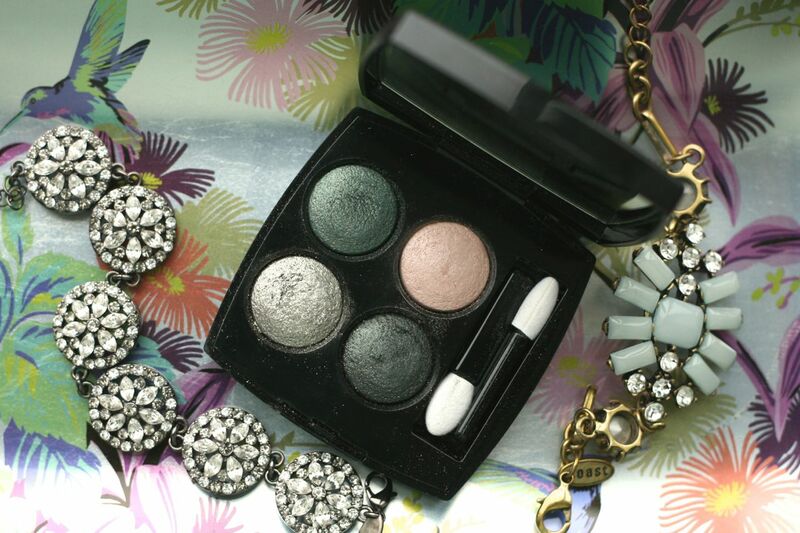 When it comes to eyeshadow I tend to stick to the somewhat safe colours – the champagne and bronzy neutral kind, but this green (yes green) Chanel eyeshadow quad is the exception to the rule. This palette has been out for a while but it is a part of Chanel’s permanent line with each quad in the collection taking its inspiration from the individual threads and fibres used to create the iconic Chanel tweed jacket. It costs £40 and the colour I have, no. 232 Tiesse Venitien as swatched above, consists of a soft sheer pink, a blush green, a metallic silver and an intense green. 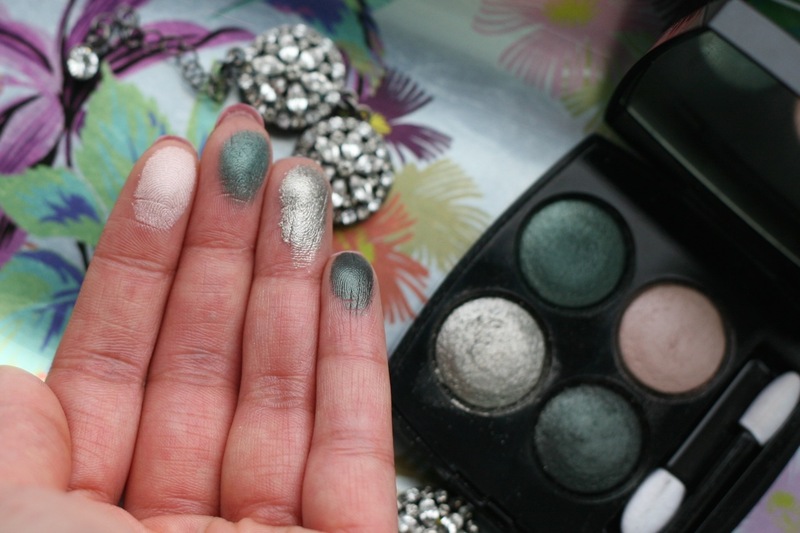 Apart from the sheer pink, the colours are really pigmented and my favourite is the metallic silver which I have found is a good staple “night out” silver shadow that we all need from time to time. The palette does come with a set of instructions to create 4 different eye looks but I’m hopeless at replicating eye looks so tend to stick with what I know. I usually apply the silvery pink all over the lid and on the brow bone, then the metallic silver on the outer half of my eyelids, blend some of the blush green on the outer corner blending halfway into the crease and then add the intense green on the very outer corner and slightly into the crease for a bit more definition. Blending is key and as advised by the lovely woman at the Chanel makeup counter, lots of black eyeliner and mascara is a must as is a bit of the metallic silver in the inner corner of your eyes to help make them pop. This isn’t the most day appropriate of palettes (unless that’s your thing) but for me it’s something different in my collection and I find it’s a great one to turn to when I want to glam up a black outfit. If this isn’t your thing though there are a number of other colour ways in the range to choose from but sometimes it’s nice to break away from the norm….don’t you agree?